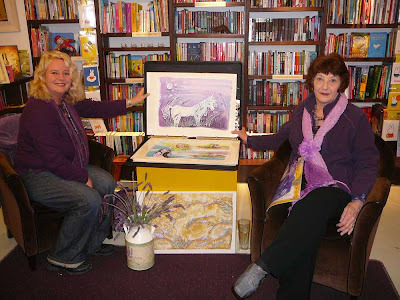 Book reading of Why Unicorns Eat Lavender at the Book Lounge in Roeland Street, Cape Town. Notice how focused everyone is. 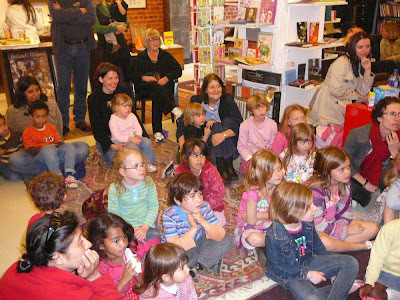 Completely absorbed in the adorable story, being read by Rosemary Kahn, the author. 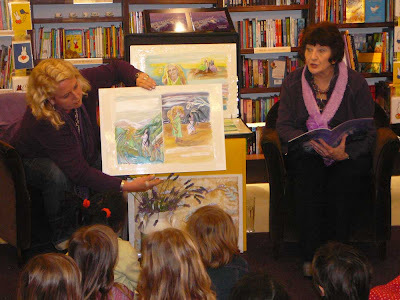 The original paintings on silk being shown to the children by the artist, Annie Pigott while Rosemary Kahn reads the story. Once again, notice how all heads are facing the illustrations and the story. The next Book Reading is due to take place at Folio's, a new bookshop opposite Westerford School in Newlands. To schedule a Book Reading, please post a request at the bottom of this post or send an email. To purchase your very own book, just click on Why Unicorns Eat Lavender or browse this blog for further details.